Innovus Advisors is a full service, experienced provider of valuation and appraisal services. Well versed in mergers and acquisitions, they are experienced data room users, and currently use SecureDocs Virtual Data Room for sell-side M&A mandate for due diligence dissemination. 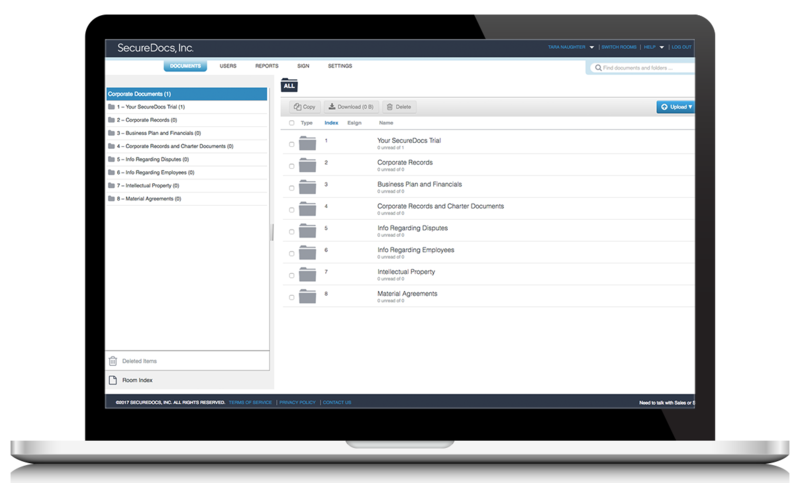 As experienced data room users the investment bankers at Innovus Advisors had previously used other commonly used data room solutions Merrill Datasite and Intralinks, but chose to make the switch to SecureDocs when their non-investment banker users demanded they switch to a simpler, more intuitive product. Innovus Advisors works with a wide range of clients and outside partners during the deal process. Many of their users were complaining about the complexity of the other solutions they were using. They needed a way to track all user activity within the data room in order to ensure their deal was moving forward, and the appropriate players were taking action in a timely fashion. They work in a time sensitive industry, and needed a way to quickly and effectively disseminate information to prospective buyers in order to successfully complete the deal process. Innovus Advisors completed the successful sale of Harris Industries to a strategic buyer and competitor using SecureDocs. The simplicity of the software allowed their users to move through the deal process quickly, saving time and money.